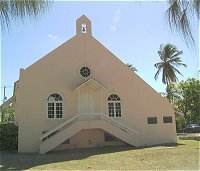 Barbadians are very religious people and there are over 100 religious sects operating in Barbados. Against this backdrop it is inevitable that there would be a large religious festival on the island. Gospel music plays an important role in the spiritual lives of Barbadians and the growth of Gospelfest is indicative of this fact. This festival of religious music brings together some of the top gospel artistes from North America, the Caribbean and Barbados. Much of the popularity of the festival is due to the presence of popular international artistes such as Dr.Bobby Jones and Jeff White. For more information on Gospelfest, visit barbadosgospelfest.com.